Tang Kuei combines Angelica sinensis and Chamomile, providing a superior nutritional tonic, to assist in balancing the body’s systems. Dong Quai - angelica root, also known as angelica sinensis, female ginseng, archangel root, wild celery, and dang gui (tang kwei), is a member of the celery family and is native to China, Korea, and Japan. For centuries, Chinese herbalists have considered Tang Kuei a "superior herb" that can be taken on a daily basis as a tonic. In China today, people still add it to soups and broths to increase nutritional value. In western countries Tang Kuei is known as Angelica sinensis. 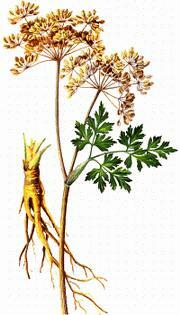 It is made from the root of the Angelica sinensis herb. The root is preferred because it provides naturally occurring quantities of calcium which helps to maintain normal muscle tone, B vitamins, iron, magnesium and essential oils. Take one tablet up to three times per day. Use with Herbalife's Xtra-Cal® to further promote women's health. Common Beliefs about Tang Kuei. There is a lot of information about Tang Kuei as a healing herb and it’s use in Chinese medicine. The results can me amazing but the information is often not proven by modern scientific studies and hence there are sever limits on the formal claims that can be made. We will bring you individual results talking about what individuals are experiencing but I’d like to give an idea of the range of health areas where Tang Kuei has had significant results for individuals. As I prepare this page someone has passed me a dog eared copy of of a paper reprinted from an article by Dr Robert Tsay in New Chinese Magazine (Page 36) way back in 1973. This is old and we do not stand by the claims made here but it is a typical example of the properties that are claimed by people involved in Chinese medicine and that some individuals experience. We include it as a sample of the information you will find on Tang Kuei through a general web search. •	Helps to strengthen all internal body organs and muscles. •	Possesses remarkable powers for nourishing female glands. •	Very effective in relieving menstrual disorders as well as regulating menstruation. •	Helps to rebuild blood and improve conditions in the mother before and after birth. •	Used for menopause symptoms including hot flushes and cramps. •	Good for backaches if due to menstrual problems, calming nerves and toothache. •	Aids in relieving abdominal pain, very helpful in aiding recovery from stroke. •	Helps eliminate dry skin problems by moistening and softening the skin. •	Helps to dissolve blood clots and to loosen tight muscles. •	Good blood purifier and cleanser, helps to increase circulation. •	Very helpful in aiding recovery from an accident if internal bleeding and body bruising exist. •	Contains some antispasmodic components. •	Stabilizes hypertension (high blood pressure). Basically this is saying that Tang Kuei is useful with any female hormonal imbalance, as a muscle relaxant and for general wellness. I know a lady who claims she was a “Once a month axe murderer” who now uses Tang Kuei and has not problem with her PMS. We would value your story with this product if you would like to share it. If you surfed in off the web then please link to and fill in the information request on the Contact Us form from the link at the bottom of this page. SITE DISCLAIMER: Do these products “cure” anything? Of course not… but it stands to reason that if you cleanse your body and feed it the finest nutrition available, giving it everything it needs in balance, on a daily basis, that your body will do what nature intended, and give you the best possible chance to fend off sickness and disease. This Tang Kuei information is not presented by a medical practitioner and is for educational and informational purposes only. 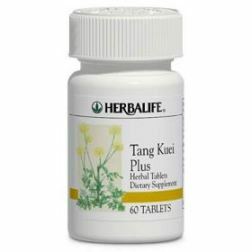 The Tang Kuei content is not intended to be a substitute for professional medical advice, diagnosis, or treatment. Always seek the advice of your physician or other qualified health provider with any questions you may have regarding a medical condition. Never disregard professional medical advice or delay in seeking it because of something you have read. The resources on this site are not intended to be a substitute for professional advice. While all attempts have been made to verify information provided in this publication, neither the author nor the publisher assumes any responsibility for errors, omissions or contrary interpretation of the web site Tang Kuei subject matter herein. The site contents are solely the opinion of the authors and should not be considered as a form of advice, direction and/or recommendation of any kind. If expert advice or counseling is needed, services of a competent professional should be sought. The author and the Publisher assume no responsibility or liability and specifically disclaim any warranty, express or implied for any Tang Kuei products or services mentioned, or any techniques or practices described.